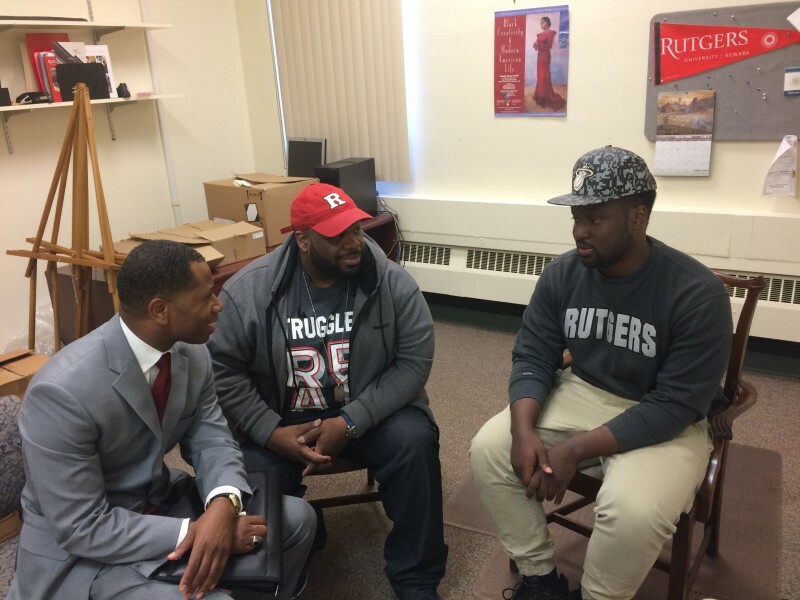 What happens when a college recruits black students others consider too risky? Newark, N.J. — Protests focused on entrenched racism rocked campuses around the country this year. Many top colleges enroll small numbers of black students, and the four-year college graduation rate for black students is half that of whites. In response, many admissions officers have been scouring the country — and the globe — to attract “qualified” black and brown students, striving to meet diversity targets while avoiding students they consider “at risk” of dropping out. Rutgers University-Newark in New Jersey has a graduation rate for black students that is far above the national average. But instead of offering out-sized athletic scholarships or perks to potential out-of-state students, the university is doubling down on a bid for students who are often ignored — low-income, urban, public high school graduates with mediocre test scores. 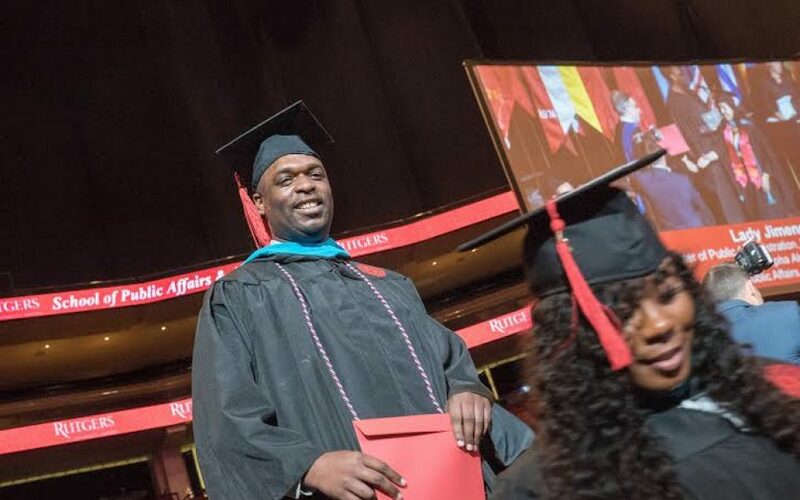 Among public universities whose student populations are at least 5 percent black and one-quarter low-income, Rutgers-Newark had the second-highest black male graduation rate in the nation in 2013 and the fifth-highest black graduation rate overall. It also had a much higher percentage of low-income students and African-American students than the four universities above it. It has become clear to more and more administrators nationwide that emotional issues can be as disruptive as financial ones when it comes to keeping students in college. Faculty and staff at Rutgers-Newark now have a phone number and email they can use to alert a group of counselors if they think a student might be in trouble. The counseling team is aware that many students won’t seek assistance, so they’ve set up “listening tables” at gathering points on campus. Doctors and counselors are posted in academic building lobbies, student lounges and cafeterias to offer counseling and wellness advice and referrals on stress reduction, healthy relationships, sexual assault and other issues. That same hesitancy to seek help sometimes trips students up financially, as well, university staffers say. In 2015, Rutgers-Newark’s six-year graduation rate was 64 percent for black students and 63 percent for white students, compared with 40 percent and 61 percent respectively at public institutions nationally. They were losing hundreds of students mid-stream for financial reasons. In 2009, between 800 and 900 student registrations were cancelled because students had not paid their bills, according to administrators. A program called Registration and Recovery Efforts has cut that number by two-thirds. The Business Office identifies students who are behind in payments and puts the word out to faculty advisors, residential advisors and the veterans and disability offices, to name a few. The idea is that people who already have a relationship with a student are in a better position to identify what the problem might be and help solve it before the student has to drop out. Anthony Austin Jr. got caught in that kind of bind when he first tried college more than a decade ago. He felt like he didn’t really belong during most of his first year at the University of North Carolina in Charlotte, and he struggled financially, as well. When he got a job offer in sales, he took it and didn’t look back — until he ran into the financial limitations of having only a high school diploma. He considered the flagship Rutgers campus in New Brunswick but chose Newark for its diversity. “I wanted to hear a lot of different perspectives and see how they made sense of things,” said Austin, 35, who graduated on Wednesday with a degree in psychology. Rutgers-Newark is one of the most diverse campuses in the country. The 7,700-undergraduate student body is 18 percent African-American, 24 percent Latino, 25 percent white and 21 percent Asian — including many students from India, Bangladesh and the Middle East. Close to half receive a federal Pell grant, for low-income students. 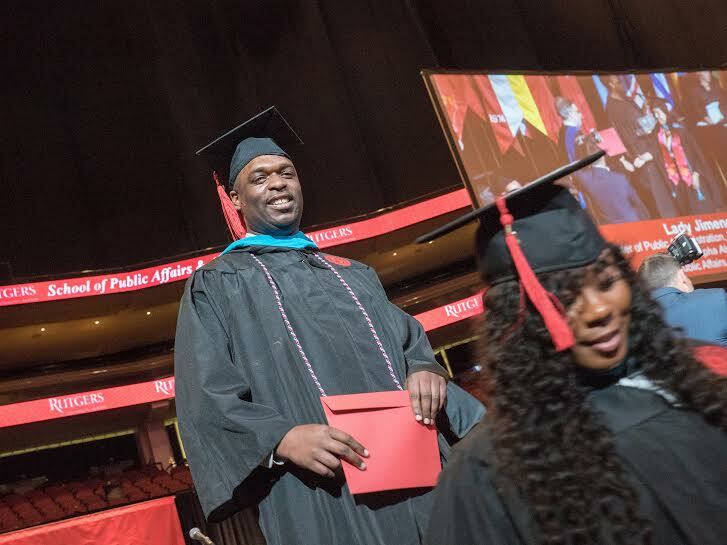 Rutgers’ Run to the Top program offers free tuition to local community college graduates and Newark residents whose families make less than $60,000 a year. Since most first-generation college students start at community college, Rutgers-Newark has also made transfer pathways from local community colleges easier, by guaranteeing credit for most majors. And admissions officers have begun to go to local public schools, churches, and community events to aggressively recruit Newark residents. 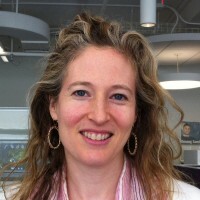 The difference in Rutgers-Newark’s approach can also be seen in its honors college, the Honors Living-Learning Community (HLLC), which opened in 2015. Accepted students get a scholarship that covers housing and a meal plan. Admissions require an essay and two interviews; standardized test scores are not considered. This contrasts sharply with many honors colleges, which use their high SAT scores as a selling point. The median SAT score at Rutgers-Newark is only a few points above the national average. Adegoke Fakorede is one of them. He chose Rutgers because it is close to home, is affordable and has a good debate team. On a Tuesday afternoon in April, he was sitting in a class called Black Lives Matter: HBO Series “The Wire,” listening to an animated debate about how the fourth season of that drama, which focused on Baltimore’s public schools, showed how some characters in the first season — a heroin addict and a gang leader — came into being. “I watched the show with my older brother two years ago, and for me at that time it was purely for entertainment purposes, like any other thriller… like ‘The Godfather’ or ‘Scarface,’ ” said Fakorede, 18. “We saw drug dealing and killings and these are things that existed around our neighborhood every day outside, but I guess it was better to see it on the TV screen. “When I got into the class I saw a whole different kind of environment,” he continued. “We’re not watching this for entertainment purposes, we’re watching it because of correlations between issues in the show and issues that exist in society right now, with the Black Lives Matter movement. There’s sociological, economic, political issues in it. The students in the classroom were about half African-American and the rest a mix of other ethnicities — Arab, South Asian, white and Latino. 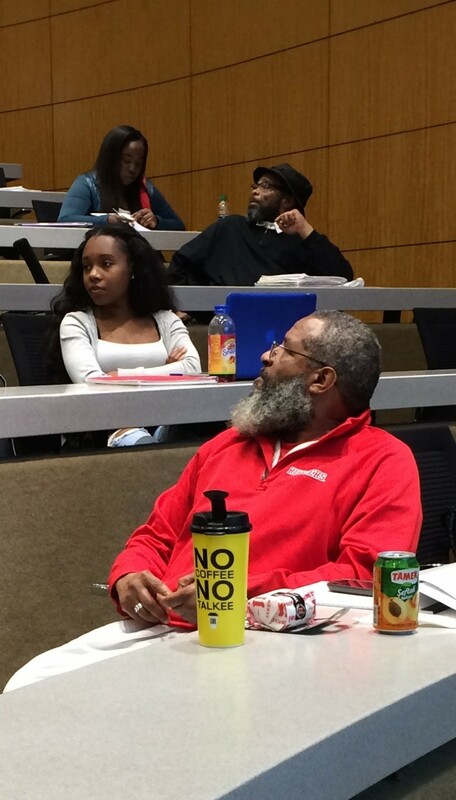 Part of the Rutgers-Newark overhaul of the last couple of years has included a challenge to the faculty — welcomed by many — to create courses that will better engage students from diverse backgrounds and develop critical thinking and writing skills.